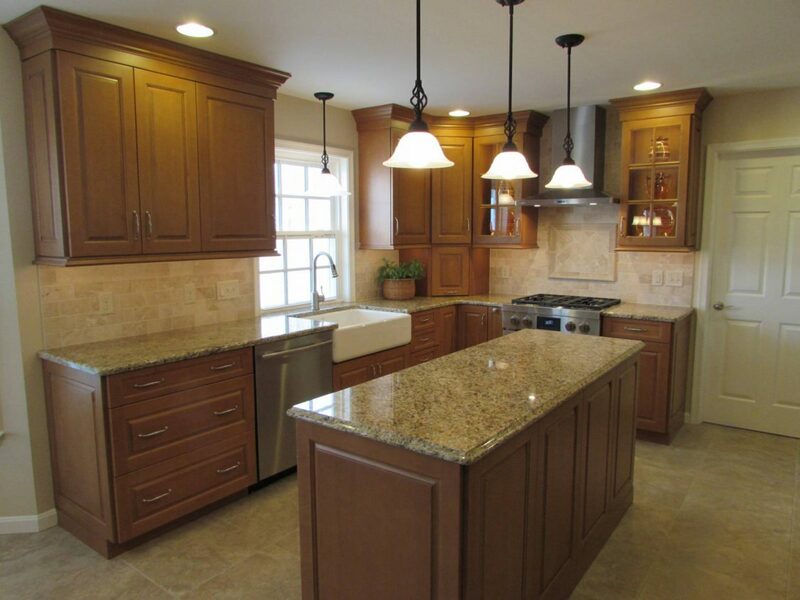 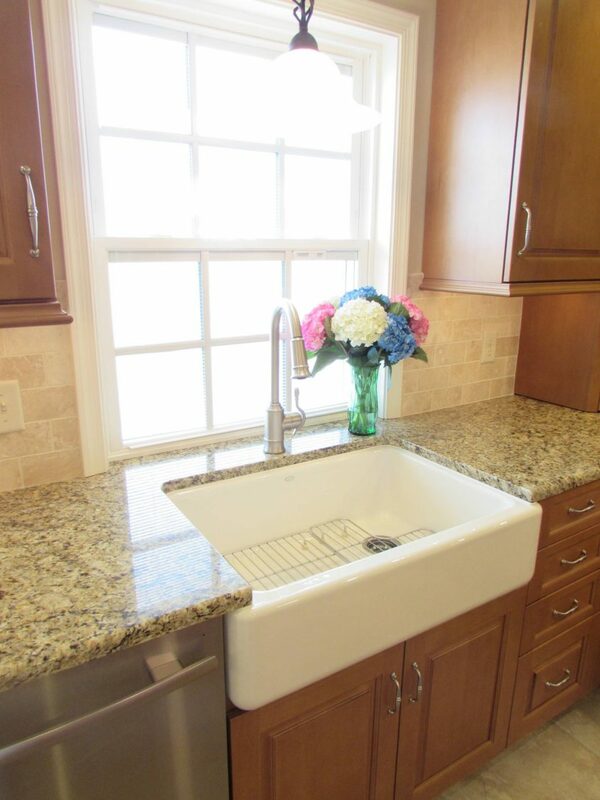 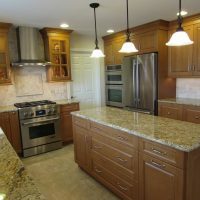 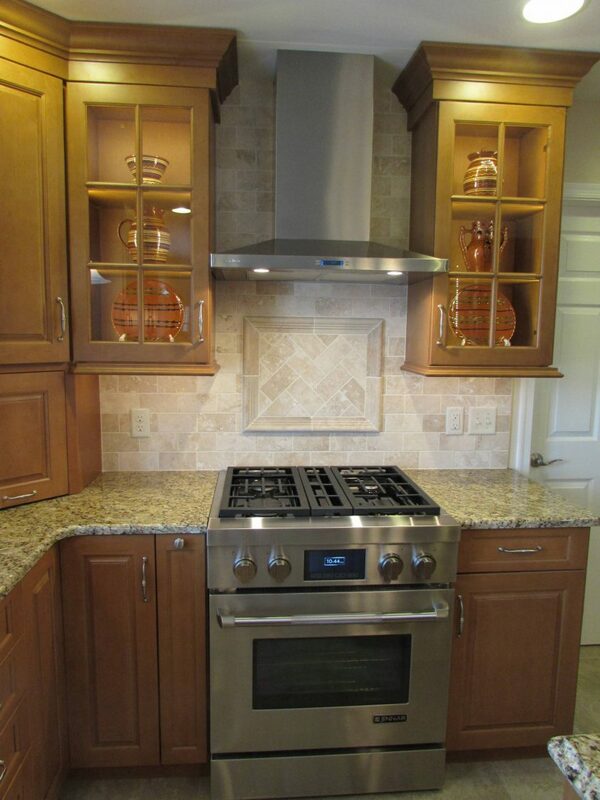 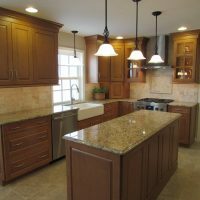 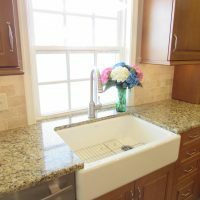 This kitchen remodel in Honey Brook features Signature Custom Cabinetry made locally in Ephrata, PA. 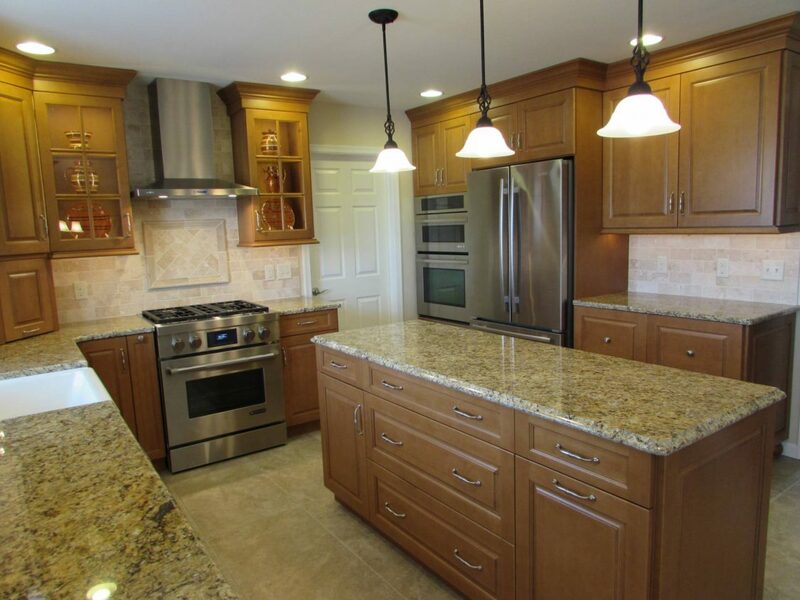 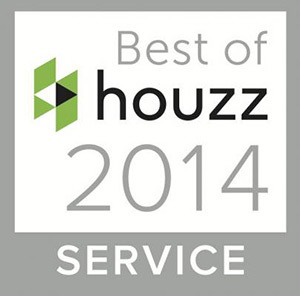 The granite countertop and tile backsplash complement the cabinets beautifully. 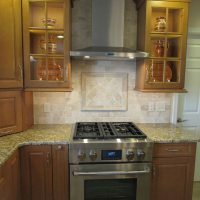 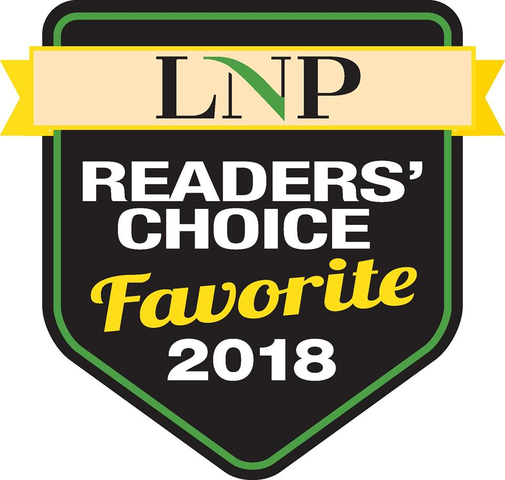 The homeowners also wanted a spot to highlight some of their treasured pottery pieces, so we were able to add glass cabinets on either side of the range and above the wall of pantry cabinets.